Rev up your engines, LEGO and Porsche fans! 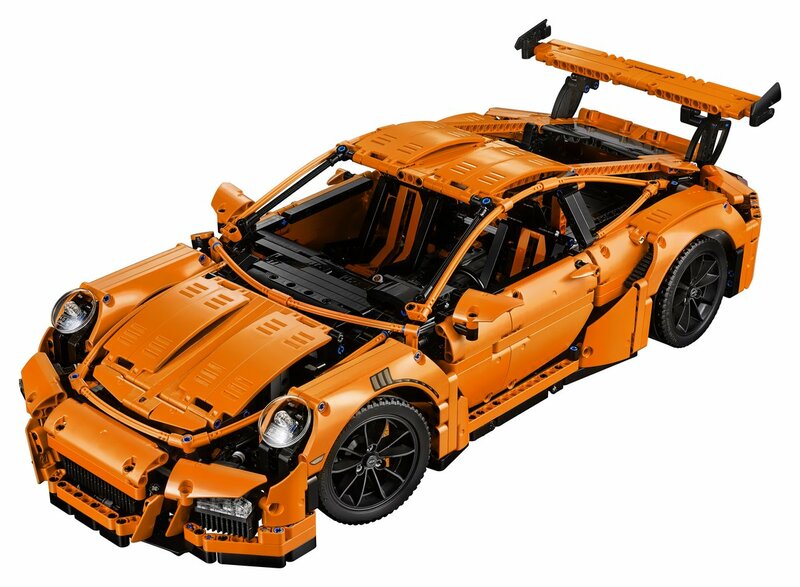 Here’s your first look at LEGO’s latest high octane model: the Technic Porsche 911 GT3 RS Set 42056. 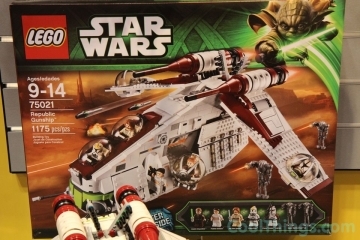 This 2,704 piece LEGO Set (recommended for ages 16 and up) is slated for release in June 2016 for a retail price of US$299.99. 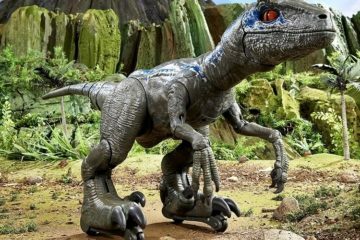 Quite a price tag for LEGO bricks, but fans of the company’s automobile replicas will be absolutely delighted. Let’s jump in the cockpit of this iconic driving machine and learn a little more, shall we? This awesome LEGO set also comes with a collector’s book. Thumbs up to LEGO for making it more than just a glorified pamphlet—it’s actually a fascinating account of LEGO’s historic involvement with Technic and Porsche GT vehicles. It also includes assembly instructions, which you’ll need—this is a highly detailed model you’ll likely not want to “just figure out.” You’ll also find four tiny rims emblazoned with the Porsche’s RS emblem and a handful of stickers/decals. Next up, you’ll of course find the pieces themselves. 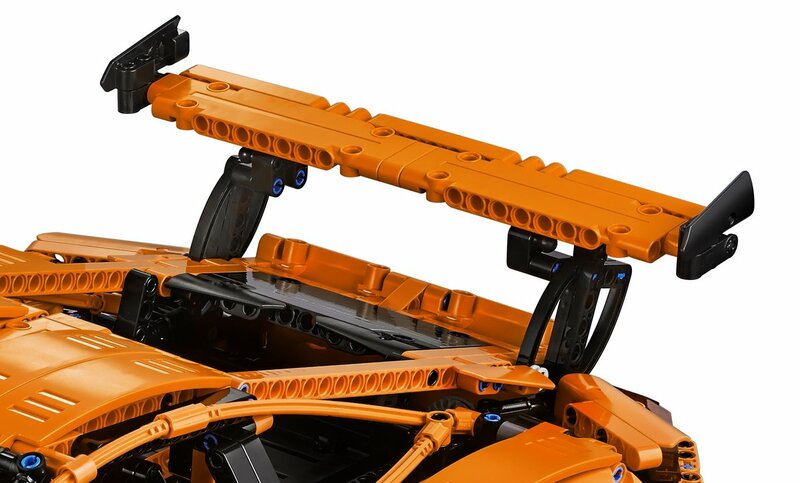 Included are parts which, when put together, will make for a beautiful display of red suspension springs, headlights and taillights, low profile tires, and of course this model’s true-to-life orange bodywork. The assembly process itself is made even more interesting because the sequence in which you’ll be putting the LEGO pieces together actually mimics the real-world version of how this vehicle is manufactured. Now that’s a nice touch for any auto enthusiast. Once completed, you probably won’t be able to resist playing with this model. It’s fairly large, coming in at 6 inches high, 9 inches wide, and 22 inches long. 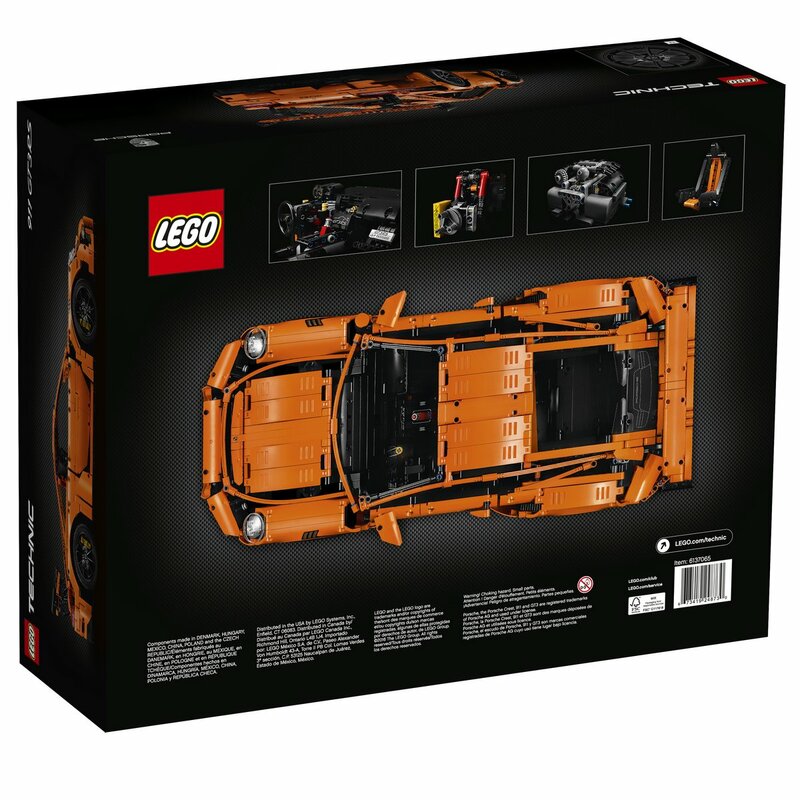 The LEGO Porsche 911 features an accessible cockpit with a functional gearbox, a steering wheel, gearshift paddles, and racing-style seats for whoever the lucky little person is who could drive this 1:8 scale model. Finally, imprinted inside the glove box is a unique serial number. 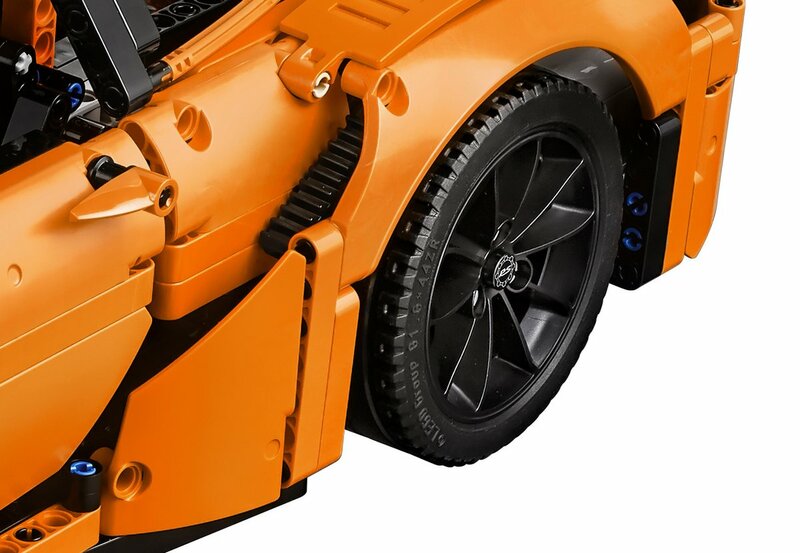 Other parts of the LEGO vehicle are fully functional as well, such as the trunk lid. When opened, you’ll have a full view of the rather exquisitely detailed flat 6 engine—and the pistons move! LEGO employed two primary designers for this disturbingly accurate model. 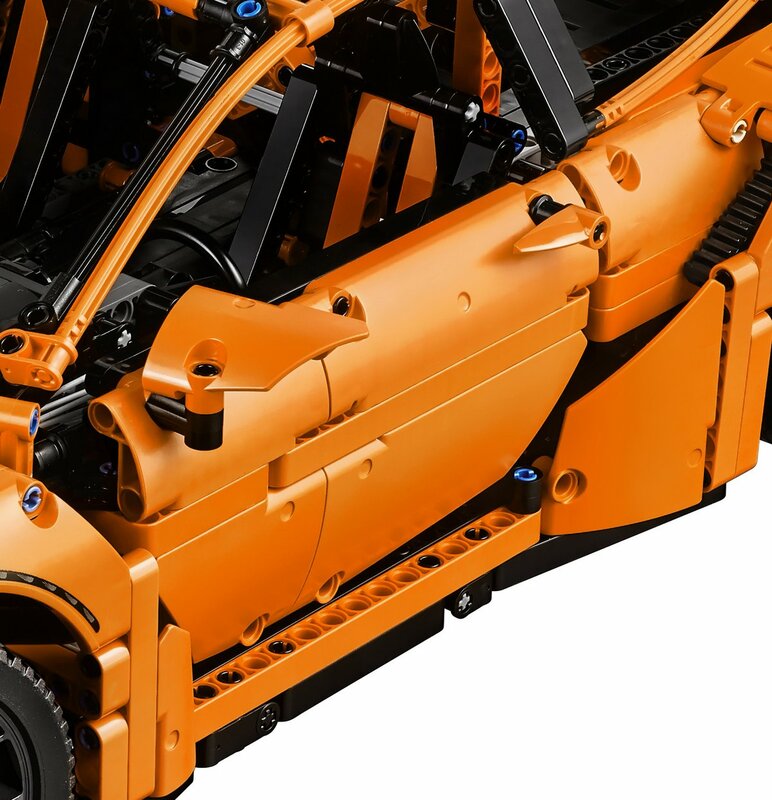 Andy Woodman and Uwe Wabra are both Senior Designers at the LEGO Technic department, and it’s clear that they both have a deep passion not only for LEGO, but for authentic model design work. 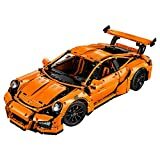 The two spent nearly two years developing the Technic Porsche 911 GT3 RS before the final model was approved by Porsche late last year in 2015. If you fell in love with the orange color of this model, you wouldn’t be the first. The two designers had the opportunity to visit the Porsche GT workshop and caught a glimpse of the pre-production 911 GT3 RS—and you guessed it, it was that very car that had the lava orange finish which inspired the model that we’re discussing today. Fueled by their passion for all things automotive and LEGO, Woodman and Wabra went on to design a model which clearly has a focus on incorporating as many of the real-world features and functionality of the Porsche 911. 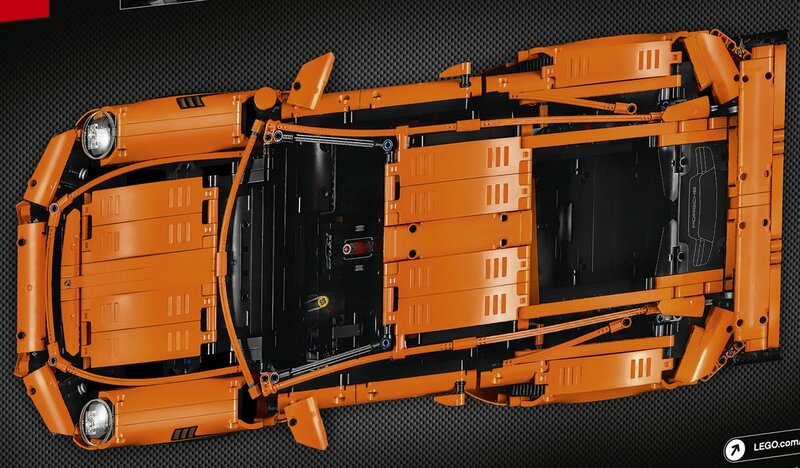 Overall, we’re incredibly pleased by the attention to detail that went into this automotive LEGO model. The assembly process is fun and relatively straightforward—as long as you use the included guide, anyway—and the final product is really something to behold, and the included stickers add a final touch of authenticity. 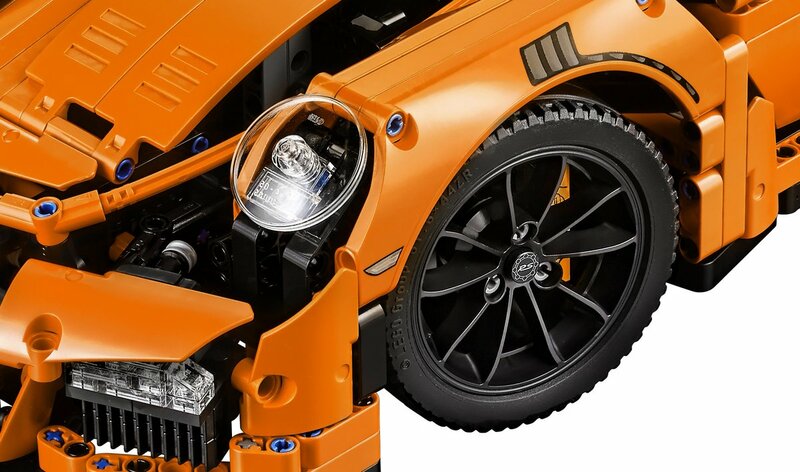 Whether you choose to play with it or display it proudly, there’s few reasons not to be absolutely pleased with LEGO’s Technic Porsche 911. 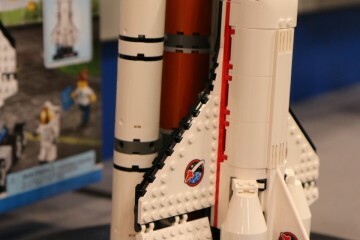 What a cool Lego set. Bit pricey but should be hoot to assemble. I can see this being a collectors item in 10 years. That instruction book in the video looks awesome too. 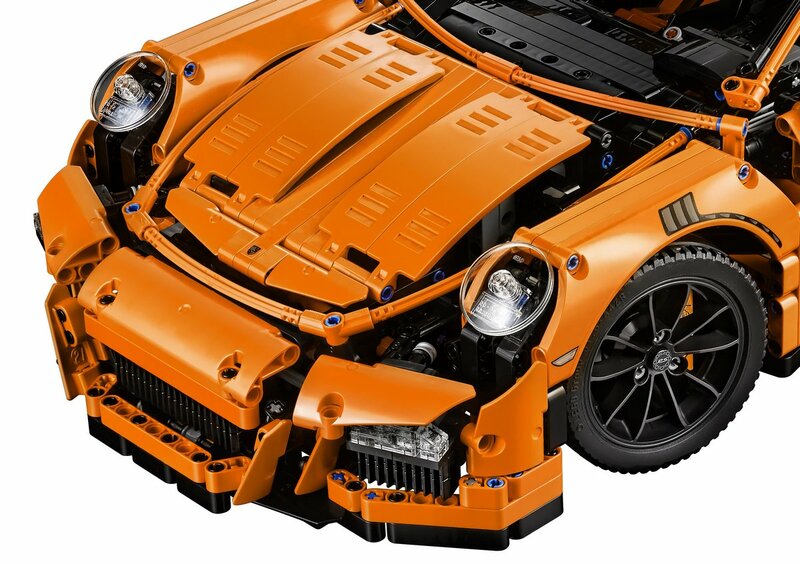 The LEGO Technic Porsche 911 GT3 RS Replica Model is my favorite Lego Set of all time. 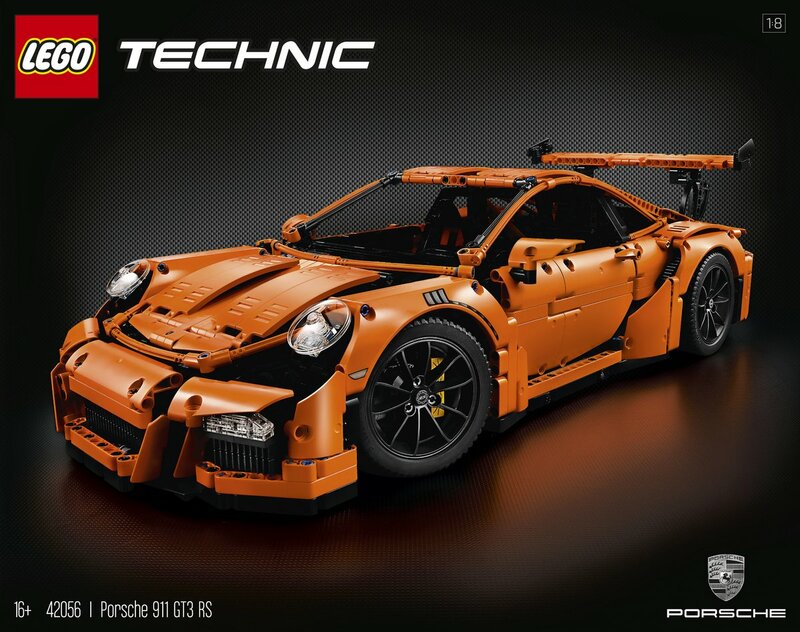 Each week it seems like Lego has entered into a new licensing agreement and is releasing a new set of branded blocks, but the LEGO Technic Porsche 911 GT3 RS Replica Model is beautiful. 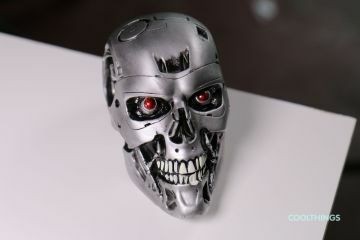 This is one of those toys that would look good sitting on the mantle, but I dubt my kids could leave it alone. I cant blame them, I’d probably get on the floor and play with it too. It looks great. It should condering they had 2 dedicated designers working on this for 2 years until it was approved by Porsche. 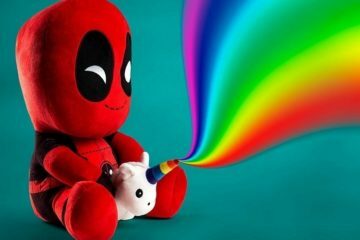 That is a lot of dedication to creating a toy. I he Technic/Lego comes out with more car designs that are advanced as this.